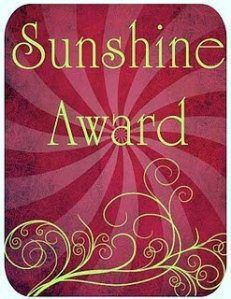 I am so happy, because last week I was nominated for the Sunshine award by the sweet Abby Carson from Tohealthblog: Welcome to Abby’s Kitchen. Check out her blog, she is such a sweet girl, she has amazing recipes and very nice photos. I feel so honoured and grateful and I thank you Abby, you are too kind. The fun part about these awards is that you can discover other interesting blogs and bloggers. Everybody who receives an award like this has to nominate other 10 blogs that she/ he appreciates and loves. Speaking about nominations I would like to pass this award to the following 10 amazing, inspiring and wonderful bloggers, I love all of your blogs and this award just shows my appreciation! Congrats to you all! 3 Answer the same 10 questions given. 4 Nominate up to 10 blogs for the award, a link to their blogs in your post, and notify them on their blogs. · Where would you most likely travel to? I really love to travel, every year I visit 2-3 places where I have never been before. I adore the beach so for me the sea/ ocean is a priority. I really would like to visit The Maldives, I have seen so many beautiful pictures and documentaries about this place, I really can imagine myself there right now. The second one on my list would be the Hidden Beach in the Marieta Islands near Porto Vallarta , Mexico. If you did not hear about this magical place ( but I’m sure you did) just google it, you will be fascinated for sure. I would love to visit also the amazing beach on the Phi Phi Island in Thailand and my list could go on and on and on…so I better stop right here. · Do you have a sweet tooth? Yes I have, I adore to eat sweet things. Lately I discovered lots of healthy raw cake recipes, so stay tuned, cause I will make some myself. · What motivates you to keep blogging? · Who is your favourite comedian? I love to laugh, I like funny movies and comedies. I also like stand up comedies (the good ones) but I can’t really name anybody in a special way. · What is your favourite outdoor activity? As you know I’m a sporty girl, so I like everything that involves moving. Like hiking, bike riding, snowboarding, sand volleyball, quad driving, roller skating and last but not least I love roller coasters and amusement parks. · Who was your favourite teacher and why? In high school I loved the world literature teacher, I liked her style of teaching, her personality and her explanations. In University I did not have any special teachers. · Do you own any pets? · Most embarrassing moment in your life? Well….I have some of those, but I will tell you about the funniest one. Sometimes I can be very clumsy, so once I entered in a very very expensive shop, I slipped and fell down right in the middle of the store, of course everybody was looking…. embarrassing enough? I think so! · Where are you from? So that’s it, this was really fun! Now you know me a little bit better. Have a great day everybody and don’t forget to check out all these wonderful bloggers I mentioned.